Hi everyone! 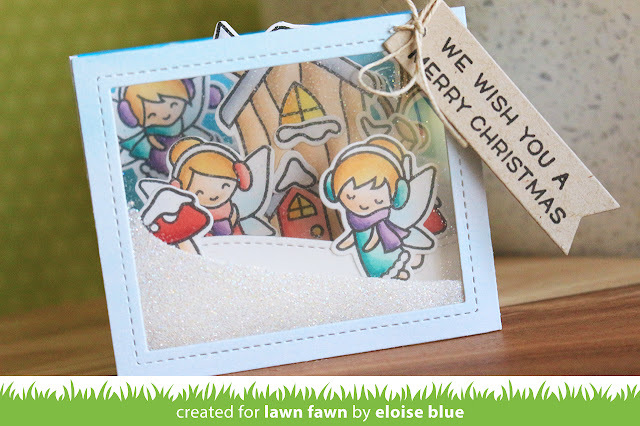 Today I'm over on the Lawn Fawn blog and YouTube channel using the Shadow Box Card Dies along with Frosty Fairy Friends and their new Prisma Glitter to create a shaker pocket inside my Shadow Box. It's super fun and makes it look even more magical! Make sure you check out the video below and the blog post to see how I made this magical Christmas card! This is so, so sweet Eloise, a wonderful job on it!